With CAESES®, there is no need for a separate optimization software. CAESES® contains many sophisticated optimization algorithms ranging from single-objective strategies for fast and efficient studies, to more complex multi-objective techniques which are effective at conducting a global search of a highly non-linear design space containing many local minima and maxima. Why is it in there? CAESES®‘ parametric models and its free form deformations are ideally suited for the automatic generation of design variants. Once the models are set up with smart parameters or functions of parameters, they can be varied in a number of different ways. You can configure a CAESES® design engine (algorithm) to automatically vary the parameters within the set bounds in a user-specified manner. 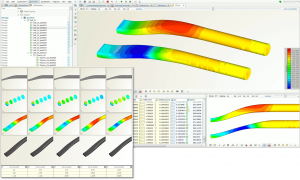 The engine will systematically investigate the design space by linking to CFD to carry out the simulation studies. Easily step through the different designs to look at the CFD results and the geometries, CAESES® manages the entire data for you and makes design studies incredibly easy! You are not in the office and you want to know the status of your current optimization run? Then you will enjoy our convenient notifications that can be automatically sent by CAESES®‘ design engines to your mobile phone! Compare all generated geometries and corresponding simulation results side-by-side in the amazing design viewer! Are you using the free optimization toolkit Dakota (from Sandia National Labs) in your department, or you want to introduce it? CAESES® interfaces smoothly with Dakota so that the full method set of Dakota can be applied directly within the CAESES® GUI! There is no additional Dakota installation required – everything comes with CAESES® and is ready-to-go… This is really a great symbiosis! Do you already use another optimization tool in your company, and you want to stick to it instead of using the inbuilt algorithms? No problem! For this common situation, you can run CAESES® in its super-easy batch mode as your powerful CAD engine, i.e. 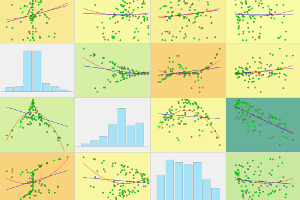 to exclusively generate geometry variants – driven by your optimization software of choice. If required, everything in CAESES® can be scripted, using a very intuitive and easy-to-learn command language. Really powerful! Understand the effects and impacts of design changes! For complex products, this is not always obvious. CAESES®‘ optimization component helps you to easily dig into the design task to find the best design candidates during your study. Save time and also CFD license costs by using e.g. correlations (to reduce the number of design variables) and smart optimization strategies such as response surfaces etc. And not to forget: Save plenty of time by learning and using only a single tool, CAESES®. CAD modeling, CFD automation and finally optimization – everything in a unified single GUI! No hassle with error-prone scripting of complex tool chains, CAESES® users can really focus on their design task. This is highly effective – give it a try!